Dog ownership has its up and its downs. One of the downsides that many owners will have to face somewhere along the line is fleas. These little pests can cause havoc in a home and a lot of distress for pets. There are plenty of solutions out there for those dealing with an infestation, from topical treatments and sprays to flea collars. 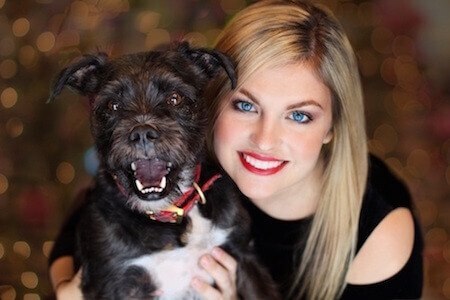 The flea collar is often seen as the best, most convenient option for dog owner. All you need to do is put it on the dog and let it work its magic. However, there are different types out there with different considerations involved. Some are a lot safer and more effective than others. Finding the best flea collar for dogs. In this guide, we will take a look at the following 5 products to compare their pros and cons for dealing with fleas. Before that, it is important to take a closer look at what we are buying here. How do these collars work, what is the best way to use them and how can we be sure that they are safe for our pets? How do these dog flea collars work? There are two different types of flea collar out there with different methods. The first is the one that expels a gas of chemicals that kill all fleas in the surrounding area. This option is problematic because of the short range, the potency of the cloud and the risk to other animals and people. 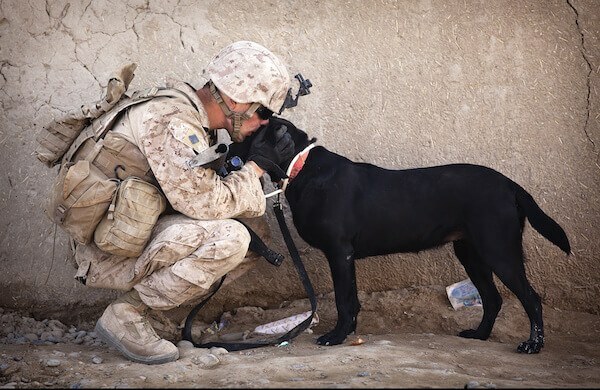 The alternative is a topical medication that is absorbed under the skin and kills fleas when they bite. There are still issues here, but this is generally safer and more reliable. To know more, read this guide about dog fleas symptoms​. These collars really are just like any other dog collars, when designed well. They attach around the neck and can be adjusted to fit so that the medication is distributed properly. They provide protection for a specified length of time and then need to be taken off. Some owners prefer to use them sparely, only when there is a risk of a flea infestation, to avoid overuse. What features are found in the best flea collars for dogs? A good, comfortable fit is important with all of these best dog flea collars. The product needs to be easily adjusted to suit the neck size of the breed and there should be no risk of them chewing on it or detaching it themselves. With safety in mind, it is also worth looking for a product with a quick release it case it ever gets caught on something. Also, consider a waterproof model that won’t be damaged if your pet likes to swim. It is also important to look closely at the treatment provided and the function of the collar. Some can kill all kinds of fleas while others only work on adults. Try and find a comprehensive option that is still efficient and safe. Others will be suitable for other pests too, such as ticks. This makes them doubly effective for protecting your pet. How can we be sure they are safe to use? The safety of the animal is crucial when buying any collar or medical device, so this combination of the two can pose problems. Like any collar, this flea treatment collar has to be suitable for the dog. Make sure to buy one that is the right size and can be used at that age. There are some options that will not be safe to use on younger animals and puppies because of the potency of the medication. The fit is important because it cannot too tight and uncomfortable, or too loose and a hazard. The other important safety concern here is the use of chemicals. Different collars have different chemicals in the medication and some act as potent insecticides. This is great for effectively dealing with fleas, but not for other insects like bees that may come into contact. We also don’t want our kids coming in contact with them either. All users need to wash their hands after using these treatments. There are concerns with products that still use tetrachlorvinphos (TCVP) and propoxur. While they are fine when handled correctly, there are risk with over-use and contact with humans. This is because they are potentially nerve-damaging and carcinogenic at high levels. All buyers need to read ingredients and dosages carefully. Remember that there are potential side effects that dogs can experience with a flea treatment. It is not uncommon for there to be irritation, redness or hair loss at the point of contact with the skin. Others can experience twitches, hyper salivation, mood issues and gastric problems, like vomiting and diarrhoea. This is why it is important not to use them too much. How to deal with potential problems. One major concern with these flea collars is that some people will decide to use them in addition to other products. There is that idea that a collar may add additional support or speed up the process. Any dog that is undergoing treatment for fleas in another form should not have a flea collar. That is because you need to think of these treatments as a dosage of medication. Up the dosage and you could over medicate the animal and put them at greater risk. Look at this possible side effects and causes if your dog has flea collar allergies. Any dog owner that is worried about the health of their pet – either though over-medication or side effects – needs to consult a vet. The well-being of the animal is the priory here and it is not worth making them sick to remove a few fleas. If there are problems with a specific type of treatment or chemical, a vet can offer advice on a better option. With this in mind, it is important to consider your options carefully when buying a dog flea collar. This is where the following products can help. 1. 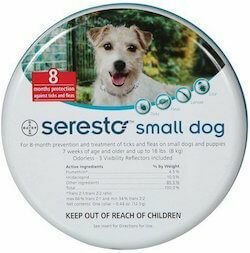 Seresto Flea and Tick Collar for Small / Large Dogs. The number one option in this list has to be this Seresto collar from Bayer because it does so much for dogs so well. This is primarily design as a solution for fleas, but works pretty well on ticks too. The security of the pet is protected further with the waterproofing on the strong collar and the quick release mechanism. It also has the longest lifespan of any of the collars mentioned in this guide at 8 months. It is understandable why this is the number one seller on Amazon. With so many people praising this model in user reviews and guides, it is easy to assume that it is pretty perfect. However, there the same safety issues with this model as you will see with all flea treatments. There is still the risk of side effects, regardless of the design. Also, this model is an effective 2-in-1 model, but options below show that 4-in-1 is possible where needed. 2. Facila 4 in 1 Dog Flea and Tick Collar. This Facilla dog flea collar tells a very similar story to that of the Seresto, but with one clear difference. They both have the benefit of easy of use and adjustability. This is a collar for smaller dogs, no more than 30cm around the neck, with a simple clip and potent formula. 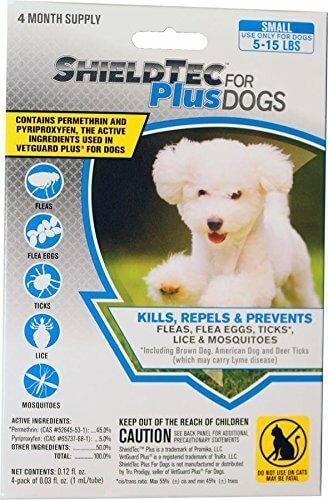 The important difference here is that this is a 4-in-1 formula means that it is suitable for use to treat fleas, ticks, mites and mosquitoes. Unfortunately, there are two areas where this model falls down compared to this Bayer one. The first is in the way that the medication is dispersed. This comes from the less-effective gas method rather than the topical solution. The second reason is that this is less durable. There is no waterproofing and the collar can come apart too easily. 3. 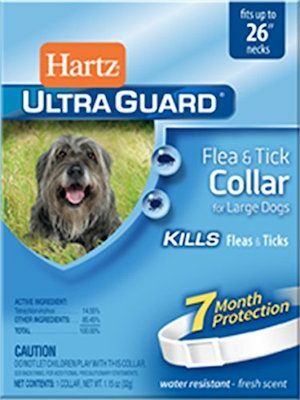 Hartz Ultraguard Flea and Tick Large Dog Collar. 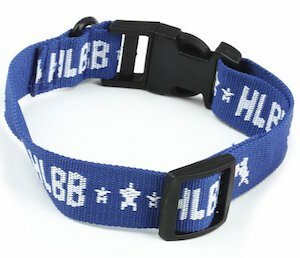 This Hartz collar does have a lot going for it regard to its effectiveness on fleas and tick and its suitability for dogs. The collar is adjustable for larger dogs, whereas most options here are for smaller animals. Also, the medication lasts for 5 months within a waterproof structure, so it pretty durable. Finally, there is the fact that it doesn’t smell as bad as other options, although users shouldn’t be sniffing it too closely. So if this model ticks nearly as many boxes as the Bayer option in first place, why is it so far down the list. The reason that this model ranks in 3rd place here is the use of chemicals. Hartz is one of the major companies that still uses that potential TCVP for an effective kill. This means that owners have to be extra careful around children and other animals. This next model in this guide is one that is highly recommendable for anyone that is concerned about ticks and doesn’t simply want a flea collar. This is a powerful solution that kills and detaches ticks over a 3 month period and can be used on larger dogs. 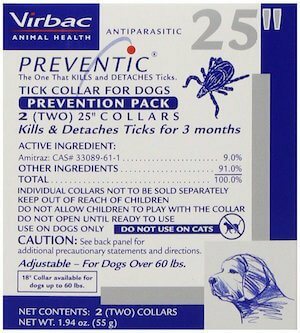 Another important benefit here is that there are two collars in the one pack, so owners with two dogs don’t need to worry. It is highly effective for this purpose. The major issue here is that while this is very effective and reliable in the treatment of ticks, it doesn’t have quite the same impact on fleas. Anyone that needs dual protection here is better off with one of the more extensive options above. This is the only big drawback here, but it is a deal breaker that places it at the bottom of this list. SheildTec has a series of collars in different sizes that range from very small dogs to large ones over 66 pounds. Be sure to get the right fit for your dog before ordering. Like many of the options above, it is a simple collar with a simple approach and the promise of a strong formula. It seems to be pretty strong and is waterproof. There is also the added benefit that this is designed to work on pretty much anything that may latch on. This all sounds great in theory, but there are a few good reasons why this model comes bottom of this list. The first is the potency of those chemicals. Despite that strong formula, some say that it does little more than stun the pests and make them easier to catch. Also, unlike some products that last for months, this pack provides 4 lots of 4 weeks treatments. This can mean gaps in treatment times if owners lose track of the days. There are safe, reliable dog flea collars out there. There are a lot of concerns for dog owners when looking for the best flea collars for dogs. With all these safety risks for both the dog and owner, it really is essential to find a safe, secure option. The products above do this pretty well. Each offer that simple, topical solution in an effective manner for improved piece of mind. They are also all pretty easy to use and carefully designed with owner and pets in mind. In the end, the Seresto Flea and Tick Collar for Small Dogs does pip the others to the top spot simply because it is able to tick so many boxes. The others have some flaws to keep in mind, such as waterproofing or the potency of the chemicals, but the Seresto is pretty impressive. There will always be some dogs that have a reaction, and veterinary advice is essential here, but this is one of the safest, more convenient options around.